Home > crude > Reflation from Higher Oil Prices? Reflation from Higher Oil Prices? We see a brighter oil price outlook helping risk assets and hurting many perceived “safe-haven” investments. Bond yields rose and yield curves steepened on a better growth outlook and a report that the European Central Bank could taper bond purchases. Federal Reserve meeting minutes could clarify the Fed’s thinking on rate increases. The U.S. earnings season kicks off. The oil price outlook has brightened, due to an unexpected OPEC plan to cut production and surprisingly big drop in U.S. oil stockpiles. 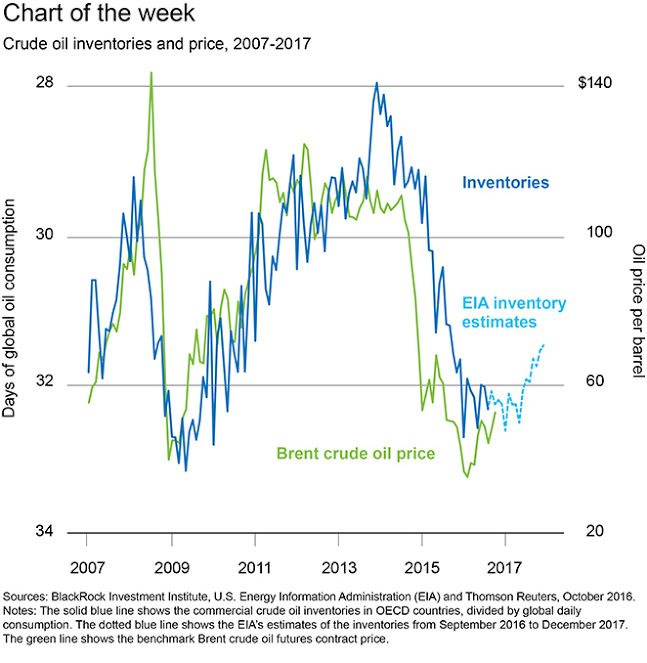 This week’s chart shows the link between crude oil inventory and prices. 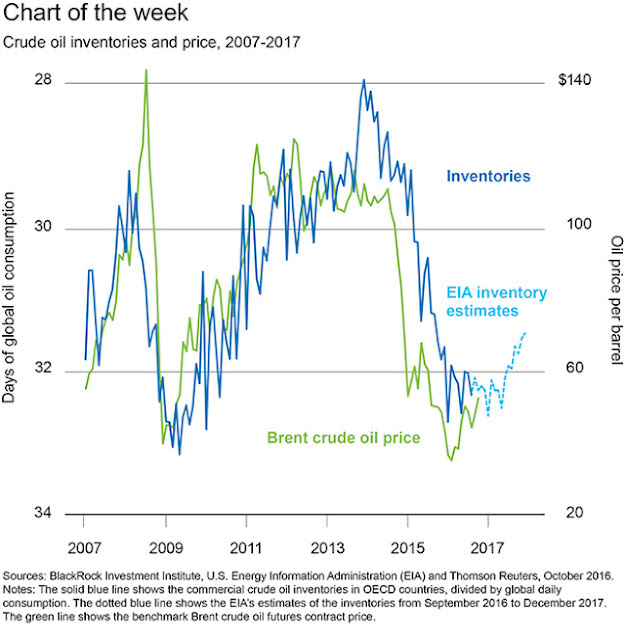 The chart above shows that the U.S. Energy Information Administration estimates that commercial crude oil inventories at OECD countries could hit their lowest in two years by the end of 2017, coinciding with a sharp drop in U.S. inventories. 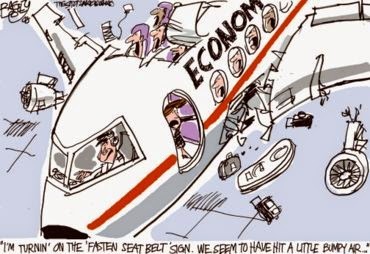 That should help to underpin prices. The OPEC plan is seen as a strategic shift by Saudi Arabia away from a battle for market share. Skepticism abounds on OPEC implementation. Still, we see less risk of a renewed oil price plunge and the potential for a gradual rise toward long-term equilibrium levels around $60 a barrel, where supply and demand are likely to find a better balance. A spike beyond that level is unlikely as some sidelined oil producers would then have incentives to ramp up production. Plunging oil prices were a major market and economic shock in 2015 and early 2016, causing broad market volatility while adding to the pain in emerging market (EM) and high yield assets. An effort to rebalance the oil market is important because it should help support energy companies, risk appetite and reflation trades. Risks remain, including a failure by some OPEC members to stick to the plan, increased production by non-OPEC producers, and renewed weakness in global demand. Higher oil prices would reinforce current market trends based on reflation: rising long-term bond yields and a shift out of perceived safer assets—bond proxies and low-volatility stocks—and into cyclical assets such as EM. 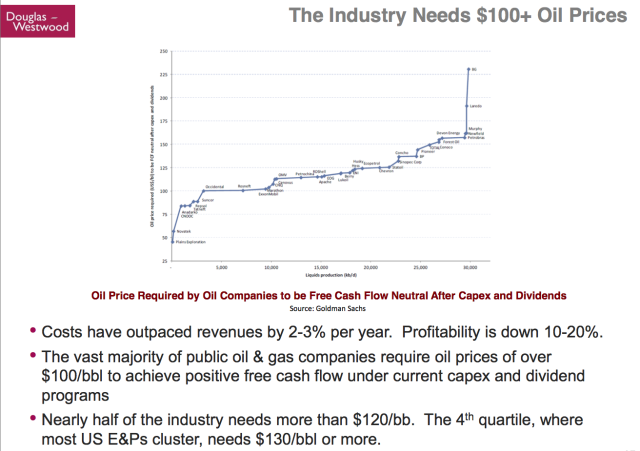 Within energy equities, we favor quality and low-cost producers. 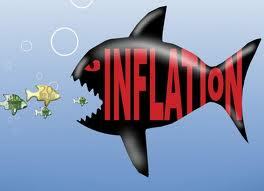 We prefer inflation-linked bonds to Treasuries. About the Author: Richard Turnill is BlackRock’s global chief investment strategist. 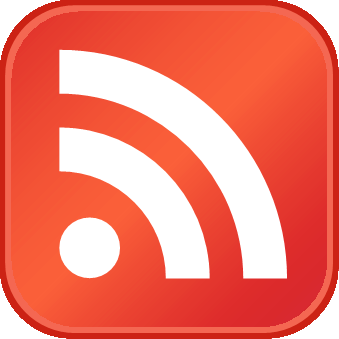 He is a regular contributor to The BlackRock Blog.